Can't draw a line from "Change Window Size" to "Set Window Properties" in "Render Image to Window"
"Set Window Properties" didn't get colored while drawing the line, which works with "Render Layers to Window". Just figured it only happens in the example. 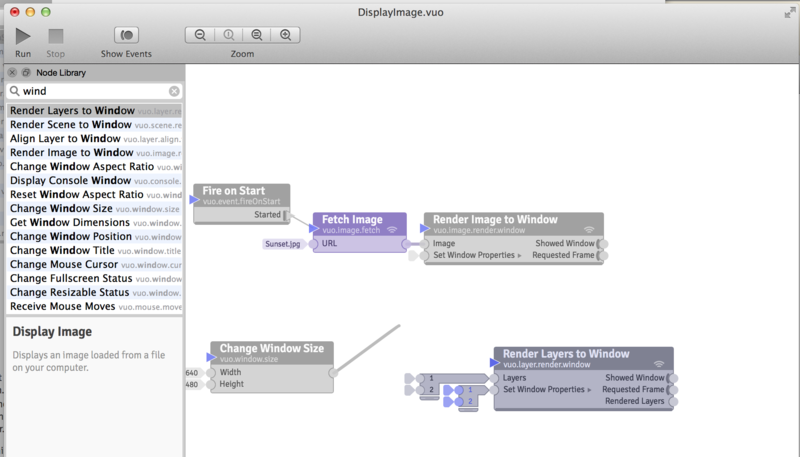 If I drag a new "Render Image to Window" from the library, it works. jvolker: Confirmed; thanks for letting us know. Indeed that example composition was missing its list. I'll fix that in the upcoming Vuo 1.1 release.